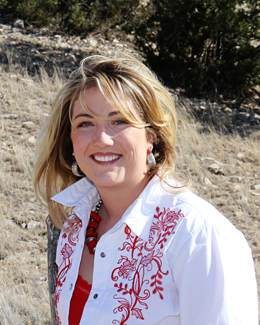 My name is Kimberly Stone and I am a Christian, wife, mommy, housekeeper, driver, rancher, lobbyist, school business manager and a photographer. I love the challenge of capturing an image that stirs emotions. I am at home in my cowboy boots documenting the ranching and western lifestyle that I am so grateful for; but I am just as comfortable in high heels on Capitol Hill or shooting photos anywhere life takes me. I’m ready to capture your family’s most treasured moments, the birth of a child, weddings and everything in between. Photography has grown from a hobby to a passion and I am grateful to God for the talents that He has blessed me with and the opportunity to preserve memories for others. Tall Blonde Photography is founded on the belief that a portrait should, above all, capture the spirit, evoke emotion, and stir the heart. My preferences include the use of mostly natural and available light, I shoot into the light. I am eager to work on cloudy, overcast days. I’m not afraid of the dark, dingy conditions, rain or snow. I like a mixture of rustic, ranch, classic and simplistic. I don’t necessarily seek out the classic smile, the perfectly centered image, the perfect pose. Please consider this information carefully prior to your session. I do not attempt to get traditional results, and if you are used to a particular style my services may not be the right choice for you. I’m getting married August 22nd in the Mountain Annie’s auditorium. Do you have that date available, and what is your price for ceremony and wedding party photos? Also, if you could give me a separate quote for ceremony, wedding party, and reception photos that would be great. I am so sorry that I haven’t responded sooner, my site is still not functioning correctly and I didn’t get the message until today. I am no longer taking any new clients. Please contact Devin Sisk from Devin Sisk Photography if you haven’t already secured the services of a photographer. Again, my apologies for the late response.